The SteamPlant Event Center is hosting two art exhibitions this July. 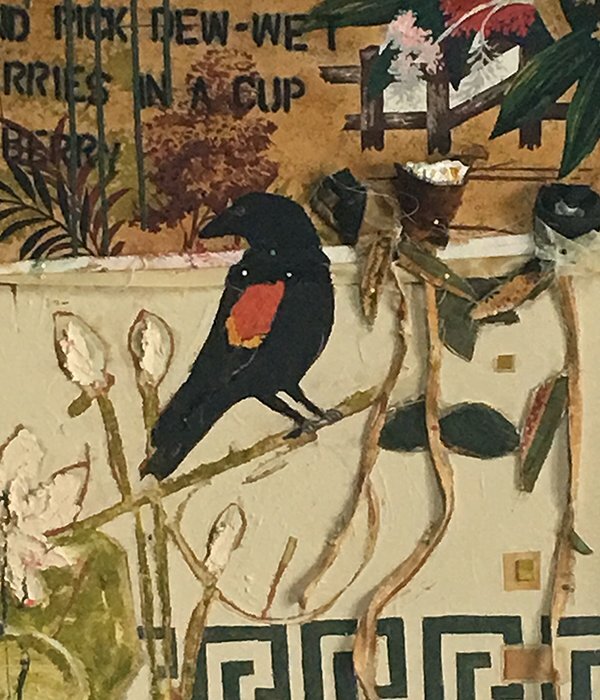 Lila McClellan’s landscape paintings, pastels and photographs will be shown in the Diesslin Gallery, and Muffin Ray’s Leonard Cohen Radio, a collection of large-scale, mixed media on textile assemblage paintings, will be displayed in the Paquette Gallery. Both artists will welcome the public at a reception in each of the galleries on Saturday, July 8 from 5 – 7 pm and will speak about their work at the Creative Mixer on Thursday, July 13 from 5:30 – 7 pm. Refreshments will be provided at both events. 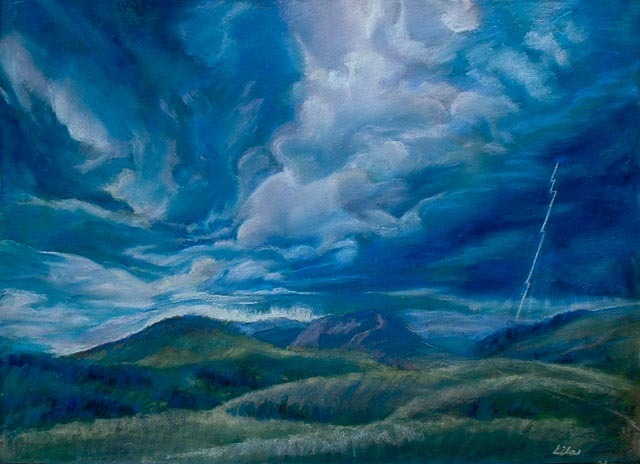 Lila McClellan has lived in the mountains of the southwest for forty-five years where she enjoys taking photographs and painting landscapes that portray a sense of peace and balance in her studio, Wolf’s Head, in Coaldale, CO.
Ray came to visit Colorado and stay with her childhood friend for a few weeks about three years ago. She decided to stay and make artwork in the west where she has a studio in Howard, CO.
Muffin Ray Artwork is represented locally by Royal Contemporary Gallery in Florence, CO. Please join Lila and Muffin for an artists’ reception on Saturday, July 8 from 5:00 to 7:00 pm. Free hors d’oeuvres, beer, and wine will be served. Join the Salida Council for the Arts and the Salida Creative District on Thursday, July 13 in the Paquette Gallery for a fine and festive social hour from 5:30 to 7 pm. Munchies are served, the cash bar is open, live music will be playing, Lila and Muffin will speak about their respective work, and you’ll hear news about the many creative projects being launched.